3 Primary Colours Tru Red, Tru Blue & Tru Yellow plus Tru Black & Tru White. 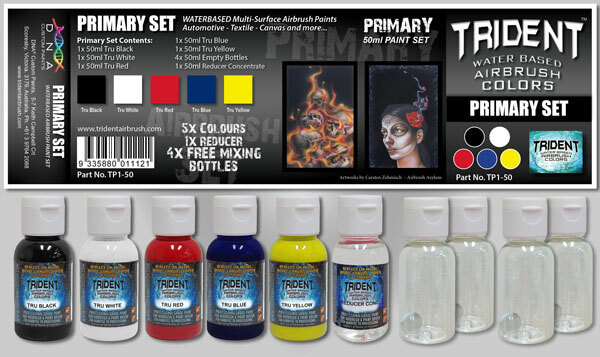 The perfect beginners set. 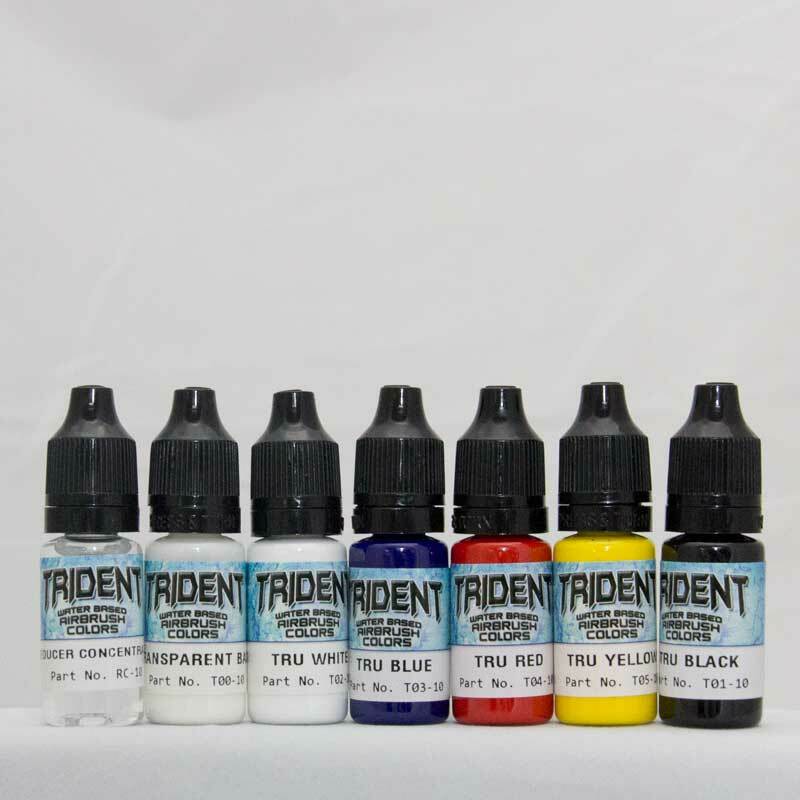 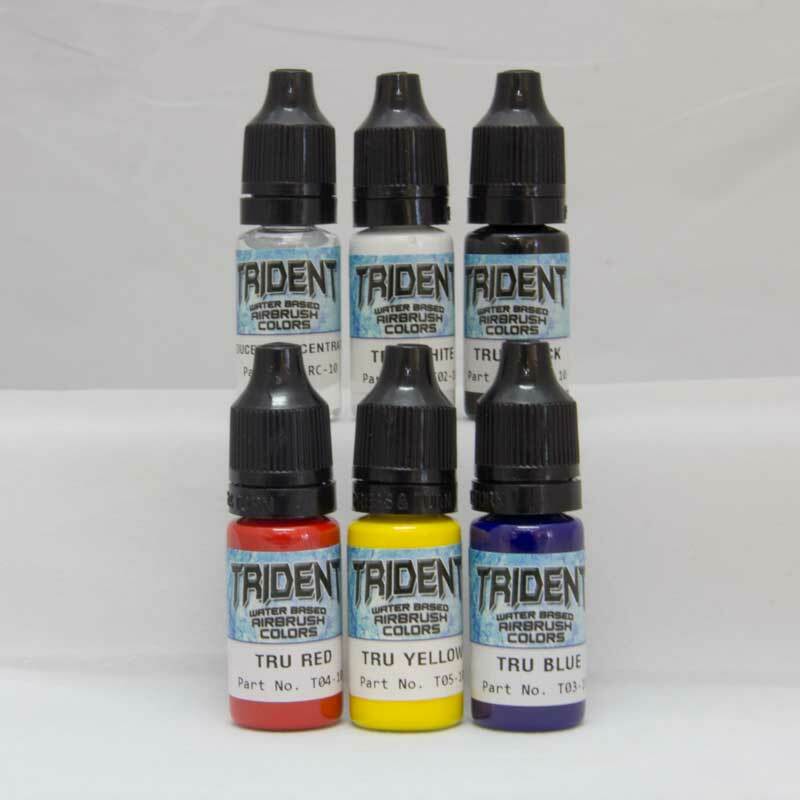 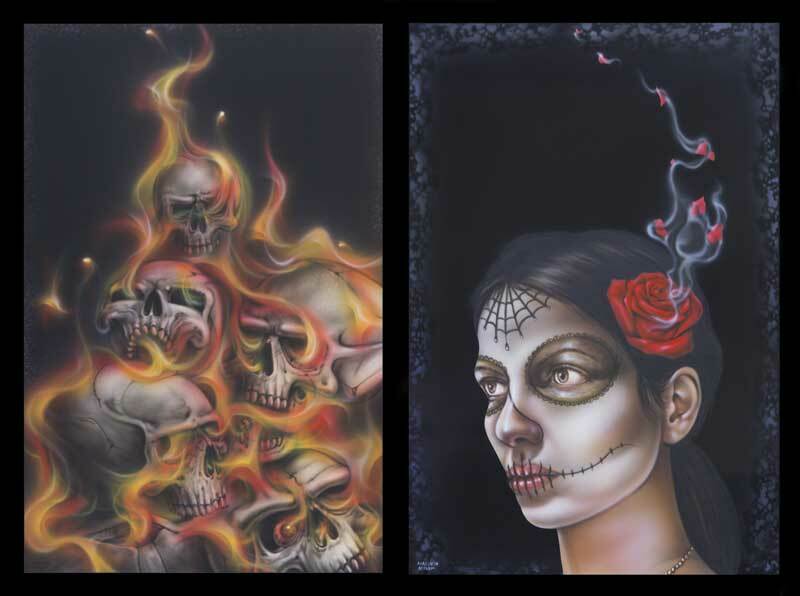 3x Primary Colours Tru Red, Tru Blue & Tru Yellow plus 2x Shade & Tone colours of Tru Black & Tru White. 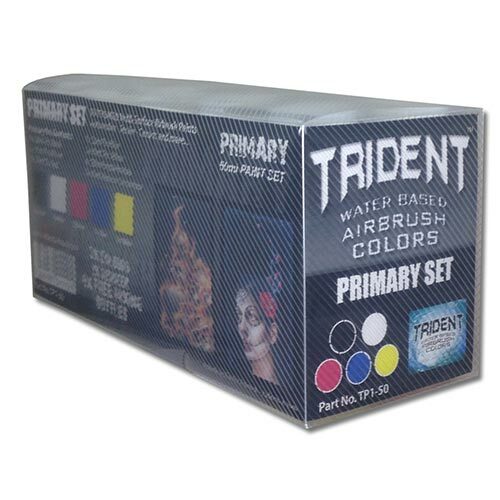 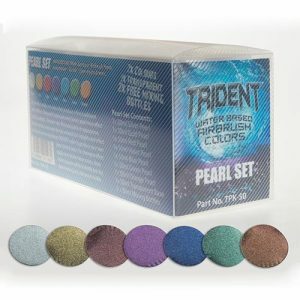 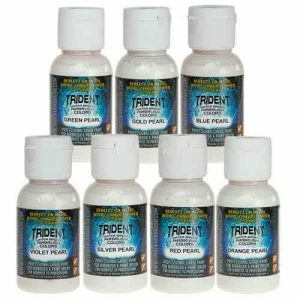 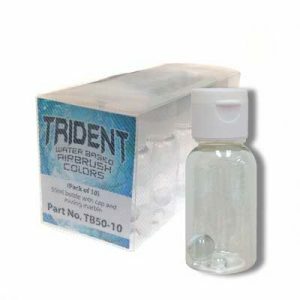 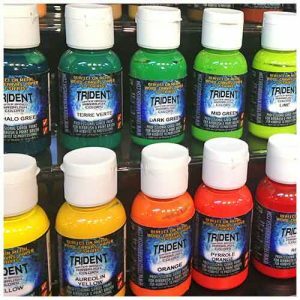 As an additional bonus this set also comes with a bottle of TRIDENT Concentrated Reducer!